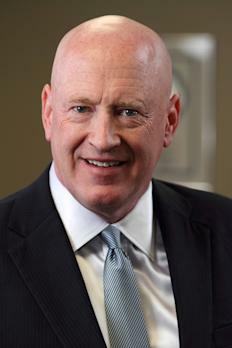 DALLAS, TX--(Marketwired - July 17, 2016) - For Marcus Hiles, Dallas' most prominent real estate developer, helping those less fortunate is second nature. The son of an inner city minister, Hiles regularly witnessed acts of kindness towards those in need as he was growing up. Having surmounted his own humble beginnings, Hiles -- now the Chairman and CEO of Western Rim Property Services -- has over the past two decades contributed a sum of more than $600,000 to programs for disadvantaged women. "Within every age group, Texas women have a higher poverty rate than their male counterparts," noted Hiles. Data indicates that, while women are heads of household in only 20 percent of Texas homes, 51 percent of poverty-stricken families are led by women. "The three poorest metropolitan areas in the U.S. are located in Texas," he stated. Marcus Hiles understands the broader implications for society of women who don't have the means to support their families. They are more likely to have babies with low birth weights, which increases the likelihood of developmental disabilities. Children born into poverty aren't as well educated as their more well-to-do peers, and are less likely to have steady employment in their adulthood. According to Marcus Hiles, Texas women who face economic challenges need a hand up, not a handout. Because women make up half of the U.S. workforce, Hiles believes it is critical to leverage resources in order to maximize earning potential. His philanthropic donations to career service centers support women in exploring nontraditional jobs that typically offer higher pay and better benefits. "Career counseling also provides training in the soft skills needed for successful employment, such as interviewing, technical literacy, active listening, and teamwork," Hiles observed. While steady work in a good-paying job is one building block of security, there is an equal need to ensure the safety and well-being of children. This has prompted Hiles' significant contributions to meal programs, as well as donations of more than a quarter million dollars to inner city after school programs. And, in order to lay the groundwork for success for future generations of young women, Hiles has donated 200 new DELL computers and monitors for students in urban Texas areas. The real estate developer's commitment to helping women and children is unwavering. Indeed, Hiles' own modest upbringing -- a time when buying a donut or an ice cream cone was a rare treat -- has fueled his dedication to philanthropy and ensuring that women who are less fortunate can create bright futures for themselves and their families. Marcus Hiles, Dallas property entrepreneur, has spent over two decades developing real estate communities that epitomize his vision of luxury living. Today, his companies manage over 15,000 Texas upscale residential townhomes and apartments that include affordable world-class amenities and a focus on a healthy lifestyle with ecological public spaces, top school districts, and recreational locations at the core of their design. In addition to his philanthropic work on behalf of women and children, Hiles has funded the construction of two large churches and has underwritten $13 million worth of tree-planting initiatives.